In the burning ruins of an ancient city, Ragnar Lothbrok's eldest son with his second wife Aslaug, Ubbe, found one lone survivor. A young girl. A girl with deep and dark and red eyes, and hair black as night with a single streak of white. "Aila." Had the girl said that her name was. Ragnar took the girl home, and with his Queen they raised her as their own. He called her . . . Aila Bloodeye. He was vicious and feared by everyone. She was self reserved and underestimated. But before you go Ragnar lothbrok listen closely to these words as I will say them only once, many moons from now Thor will strike his hammar and create a storm like no other It will bring With hair as black as ravens wing, skin as white as freshly fallen snow and eyes as blue as the sea's comes the boneless shall walk the snake will temp" seer told Ragnar lothbrok. "One day you'll find your missing part, Ivar." Ubbe said. "When?" 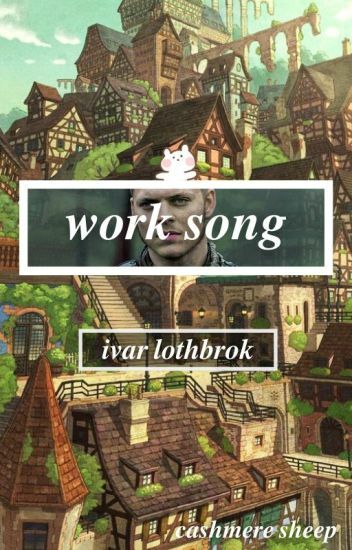 Ivar chuckles "Who would come to love a cripple like me?". Hvitserk raises his eyebrows, sipping his ale. "We'll see, brother." When she was merely an infant, her mother, Asta Hansdottir, died from a fever in the night. Three winters later her father, Carr Ahlberg, died in battle, fighting alongside Ragnar Lothbrok. Carr was Ragnar's close friend, it was Ragnar who swore to her dying father that he would treat Raena as if she were his own and ensure her safety, as she was still a child. Now, at the age of 20 years, Raena Carrsdottir fights in her fathers place as a shield-maiden. Raena is currently 20 years old. Björn is 19 when Raena is born, making Björn now 39. Ivar is two years younger than Raena, at 18 years old. Raena is the same age as Hvitserk (20). Sigurd is 19 & Ubbe is 21. Lagertha, Aslaug, Ragnar, Floki and Helga are all roughly in their late forties to early fifties. a queen without a heart and a cripple without humanity. i have chanced people and their story's but still hope u like it. A Grecian girl is taken from her home in the Mediterranean during a raid in a Christian monestary. She is thrown into dangerous waters after she is gifted to Ivar, who believes she is nothing good but a pretty distraction, until he learns of her true talents, using her to his advantage for his growing army against the Christians of England, and the usurper, Lagertha. "They call her the Queen of Bones, and say her throne is made of skeletons from the vanquished." "Do you think she'd be willing to lend me some of hers?" In which a boy's favorite legend and tale becomes a reality, walking before him in Kattegat. Ivar the Boneless is the crippled boy that nobody believes in. He was born with this condition that caused him to crawl around on the ground. There is only one person who really believed in Ivar and even loved him. Kai Cloud. A girl born not of royalty but taken in by Princess Aslaug after a prophecy revealed that she will marry one of the brothers and produce many great warrior children. But Kai has her eyes on only one Lothbrok. Ivar.